The whitetail deer, or Virginia deer, is native to the United States (excluding Nevada, Utah, California, Hawaii, and Alaska), Canada, Mexico, Central America, and South America as far south as Peru. 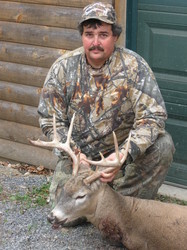 Whitetail deer have a reddish-brown coat in spring and summer which turns to a gray-brown color throughout the fall and winter. The whitetail deer raises its tail during escape as a signal of alarm, showing a prominent white underside. The male whitetail deer range in weight from 130 - 300 pounds. 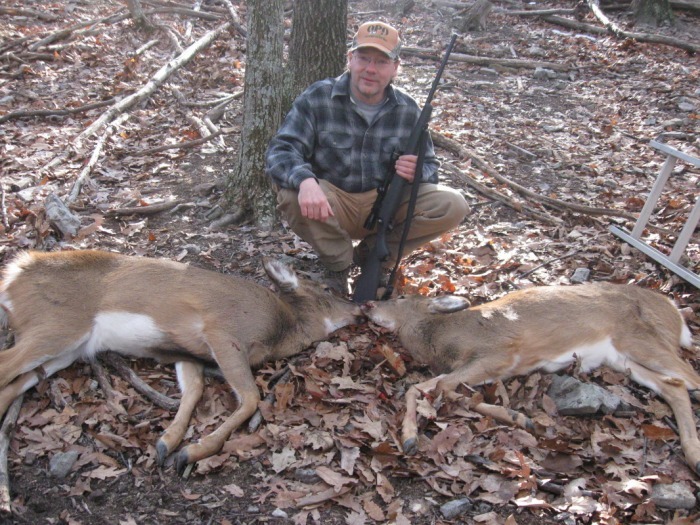 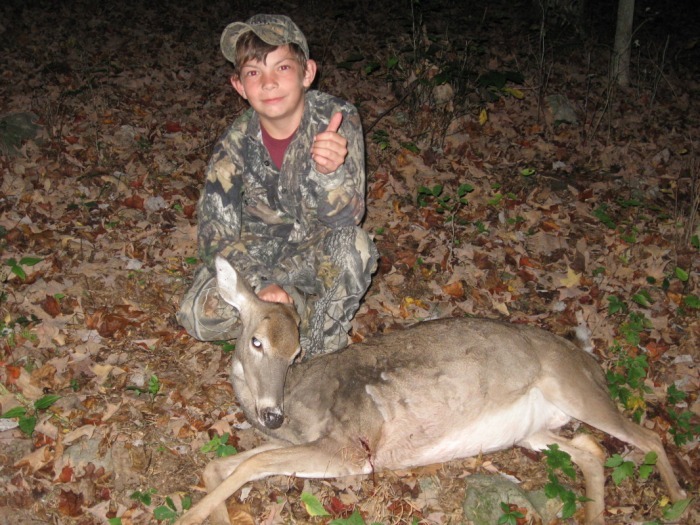 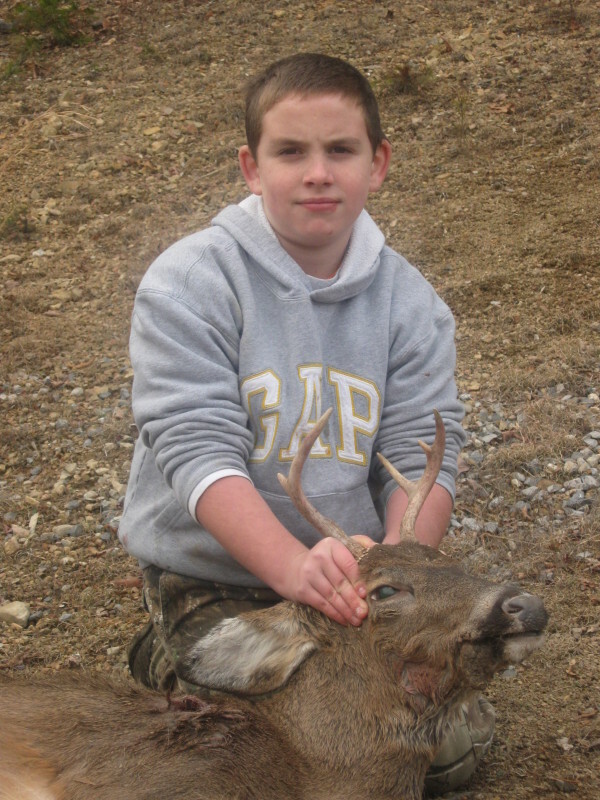 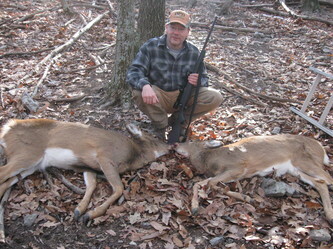 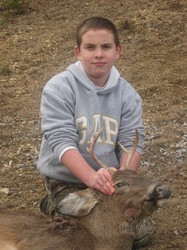 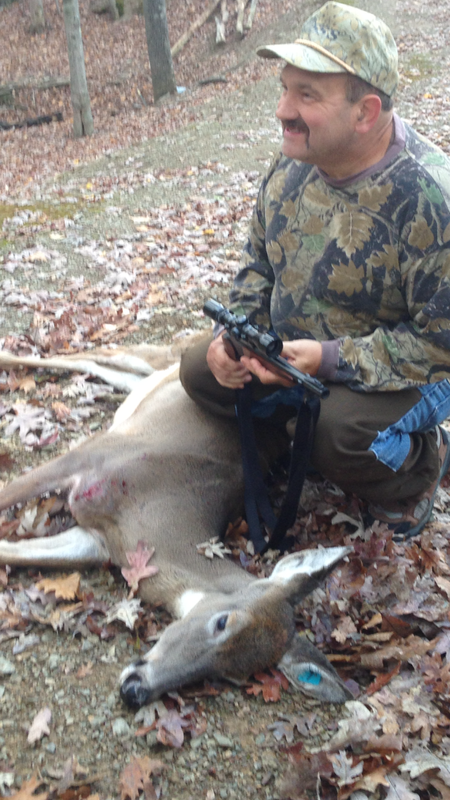 A doe’s weight typically ranges between 90 - 200 pounds. 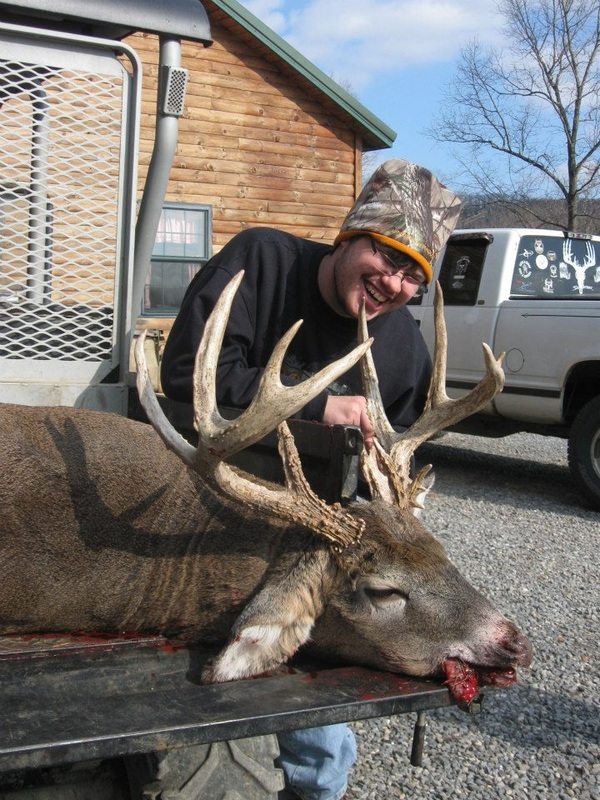 Length ranges from 62-87 inches (including the tail); shoulder height is typically between 32 - 40 inches. 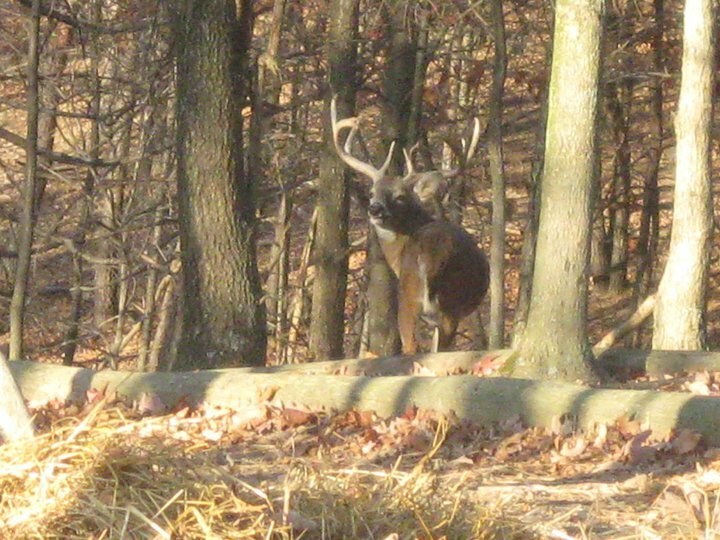 Male whitetail deer re-grow their antlers every year. Only 1 in 10,000 females have antlers. 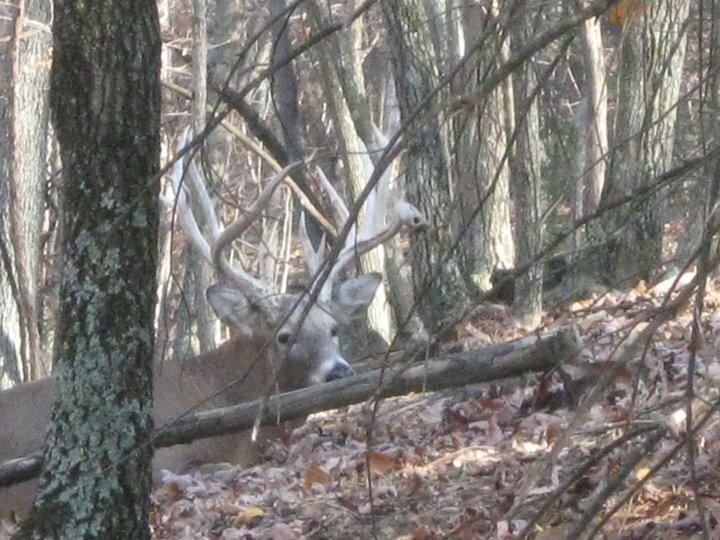 Antlers grow in late spring and are covered with a highly vascularised tissue known as velvet. Antlers can be both typical and non-typical. 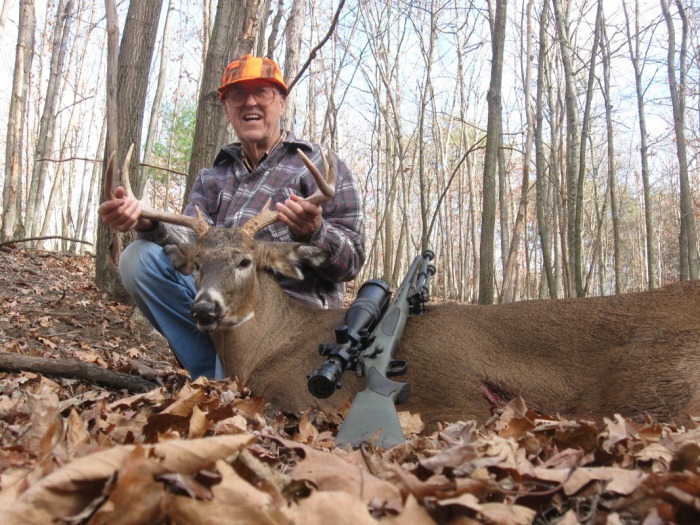 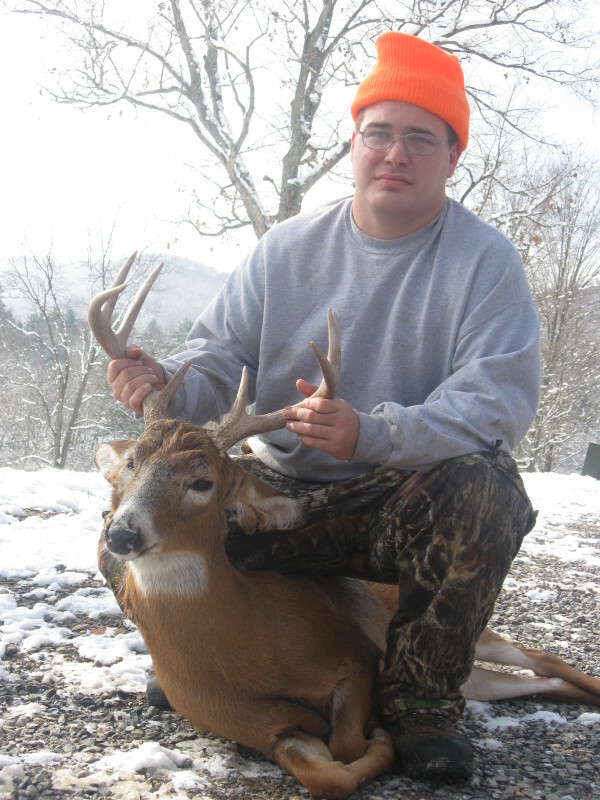 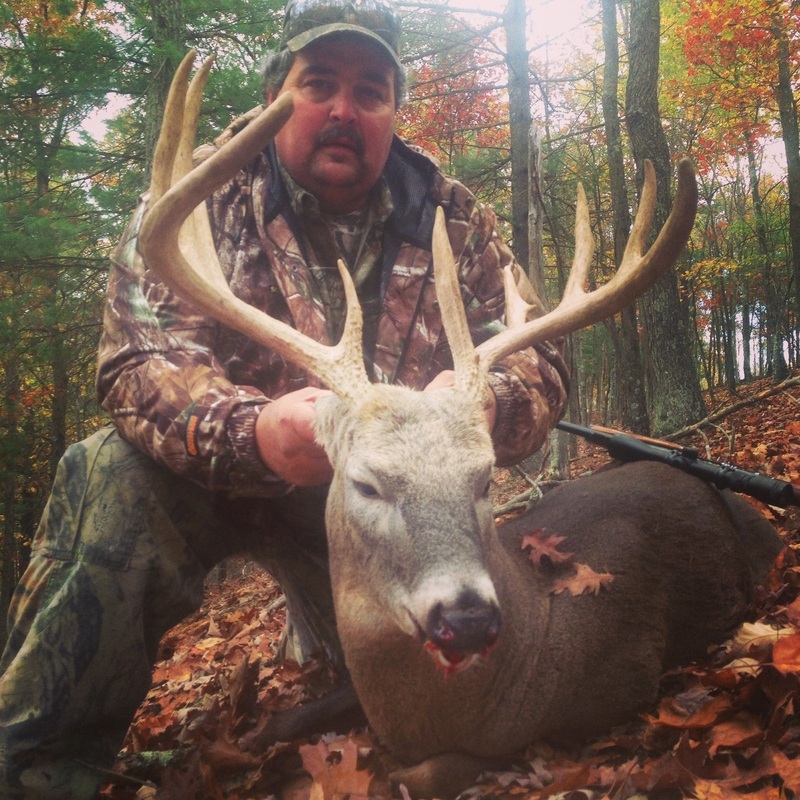 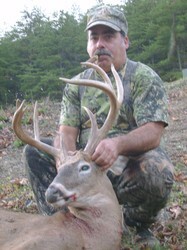 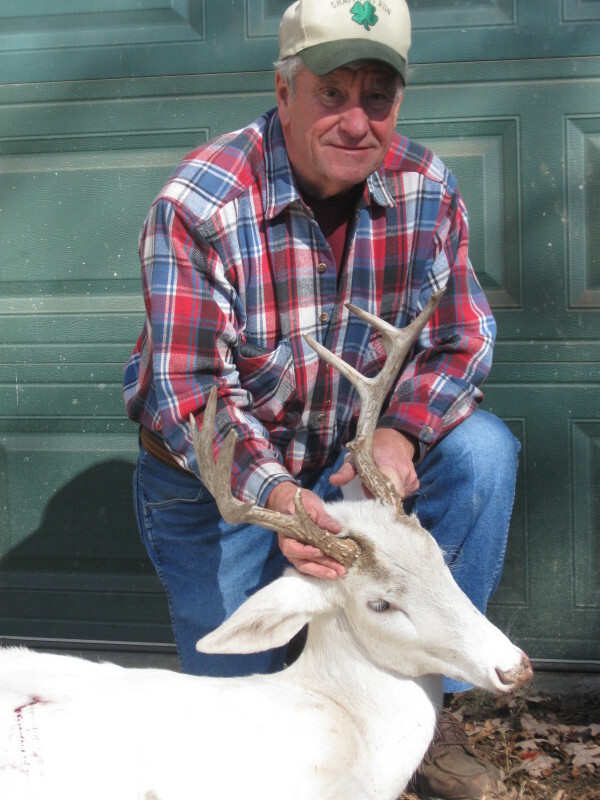 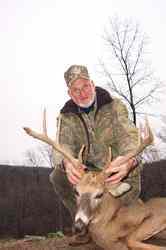 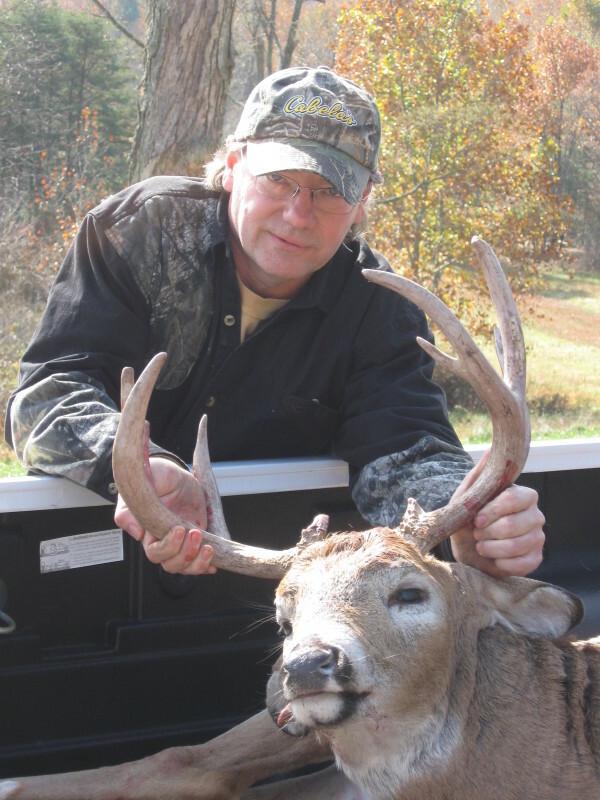 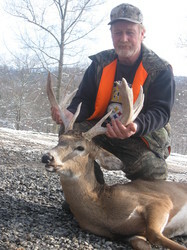 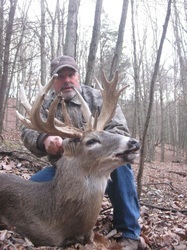 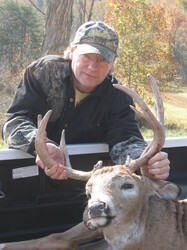 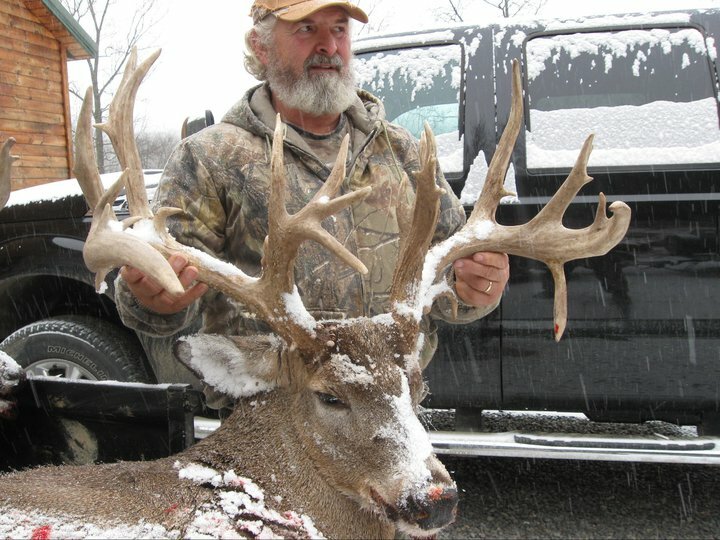 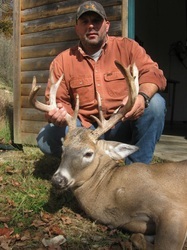 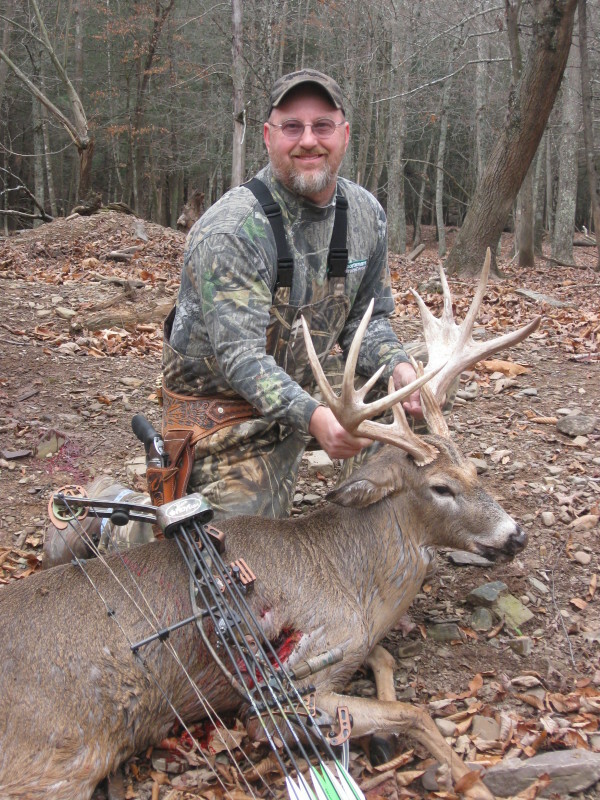 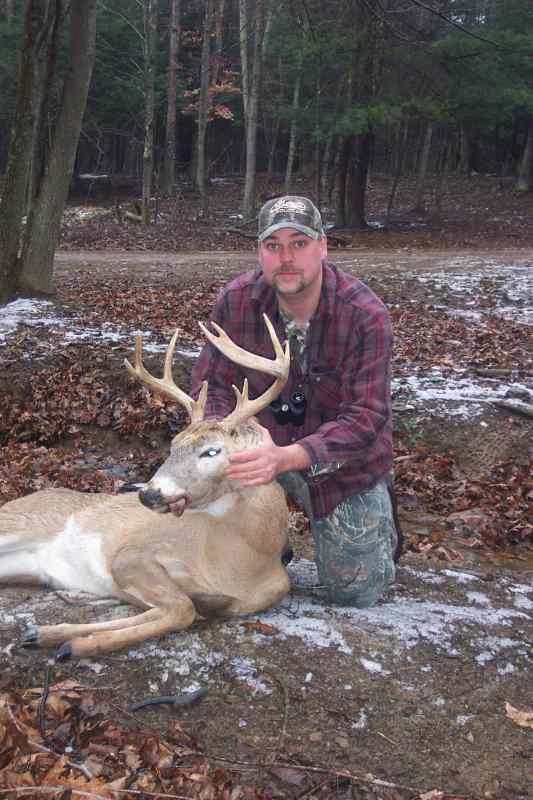 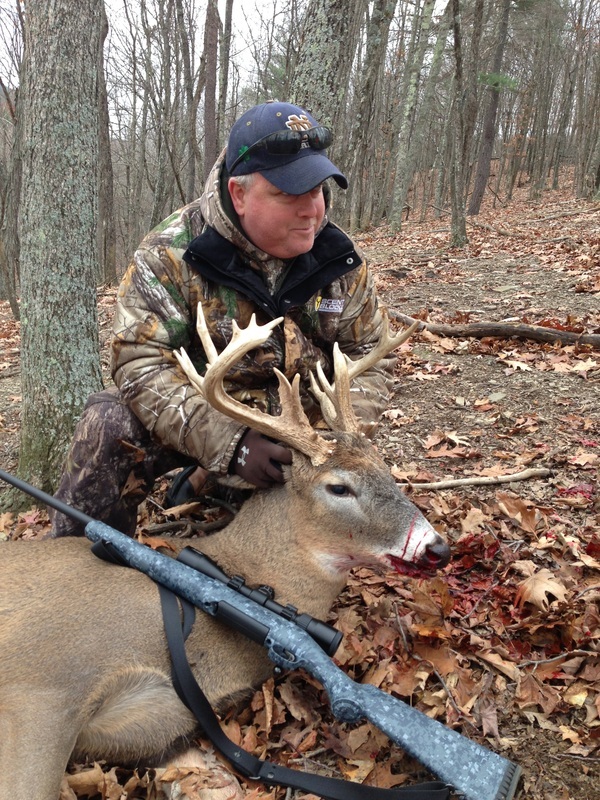 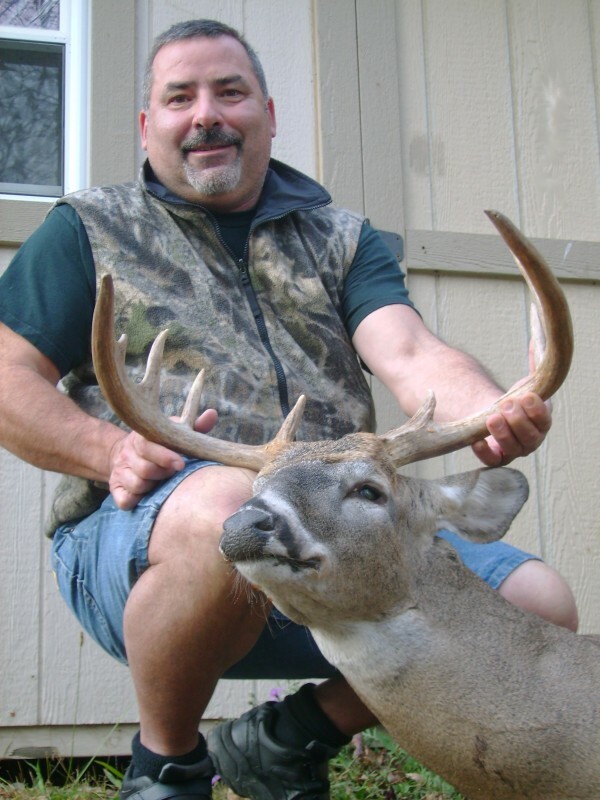 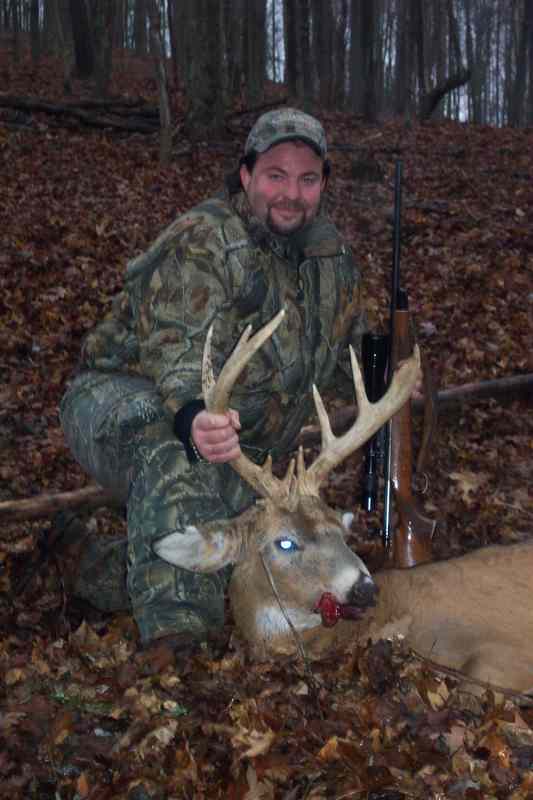 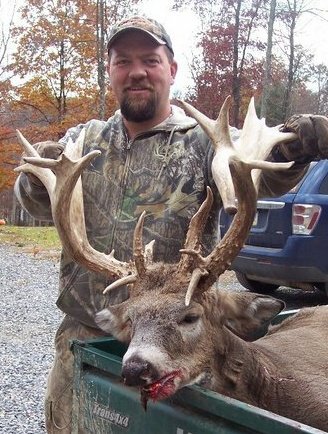 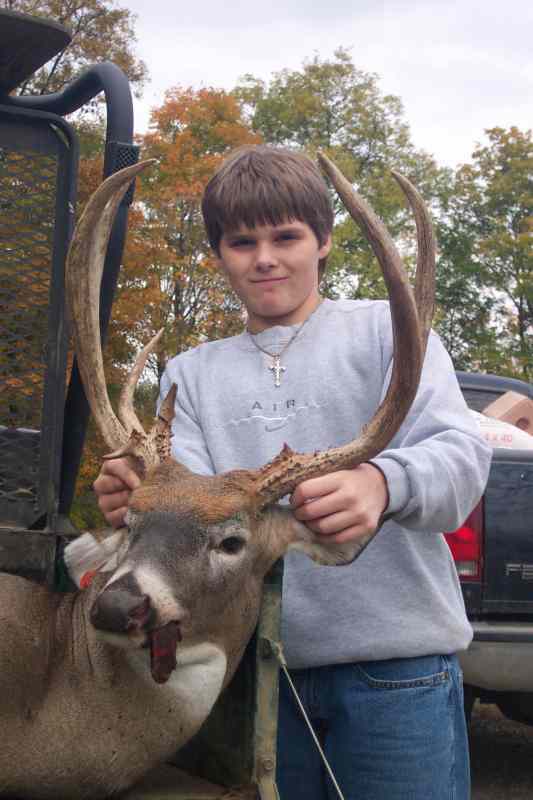 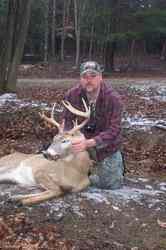 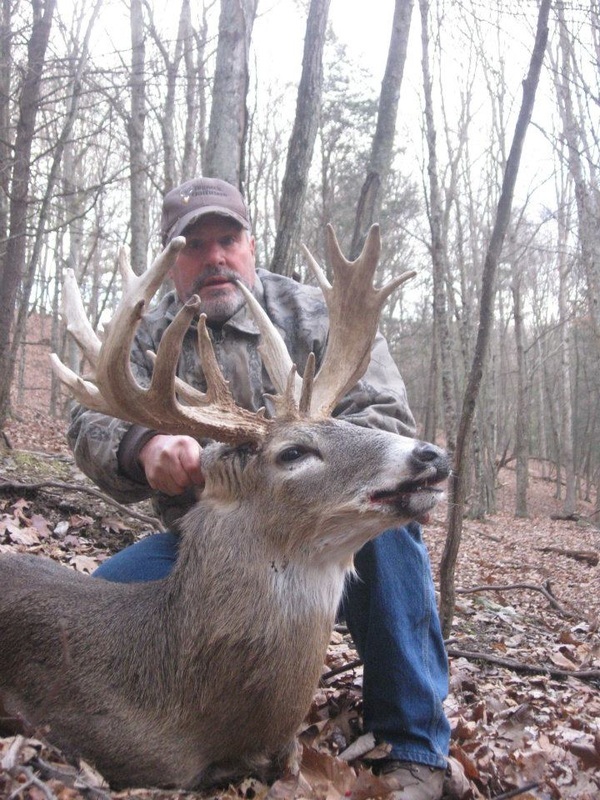 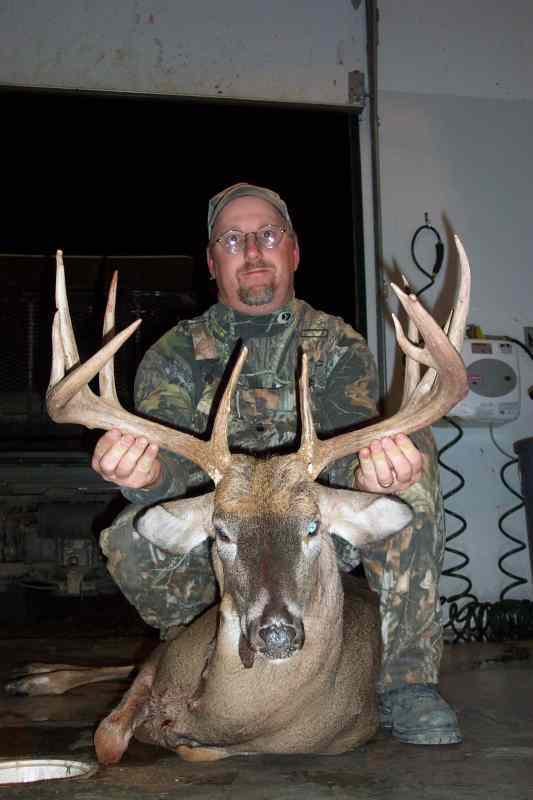 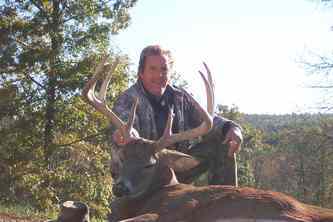 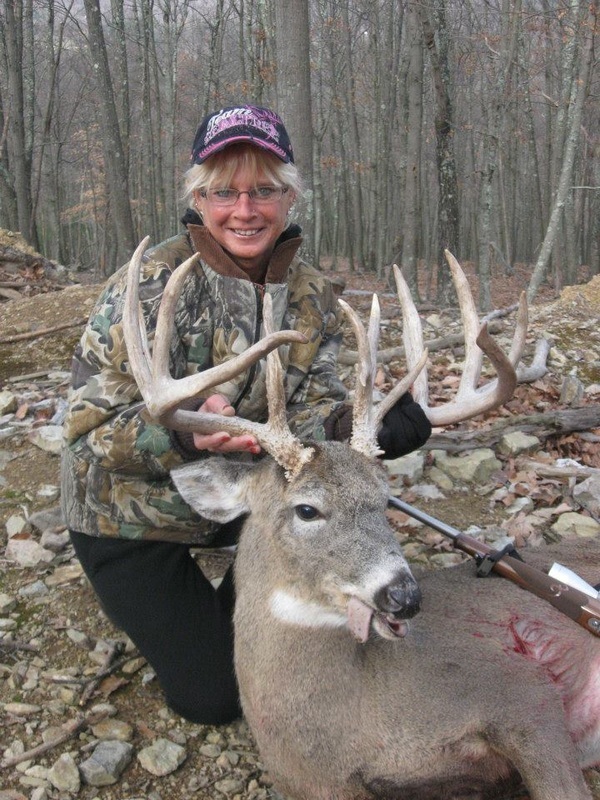 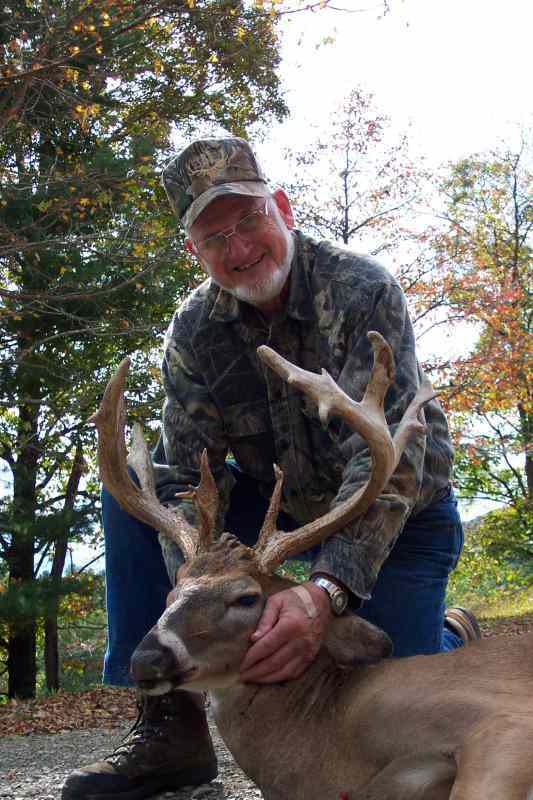 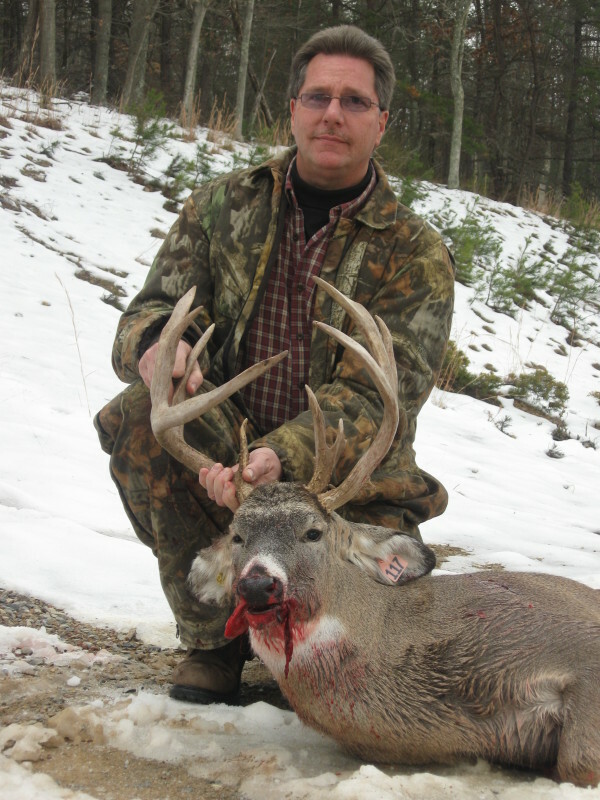 Bucks with typical antlers are very symmetrical and have points that project straight up from the main beam. 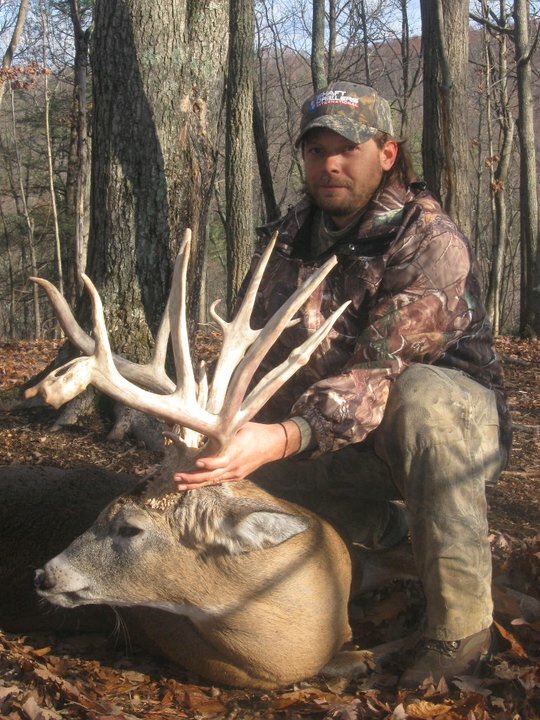 Non-typical antlers are asymmetrical and project at any angle off of the main beam. Bucks will shed their antlers when all females are bred, typically around late December through February. 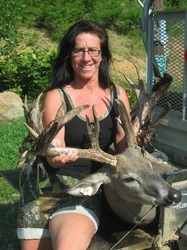 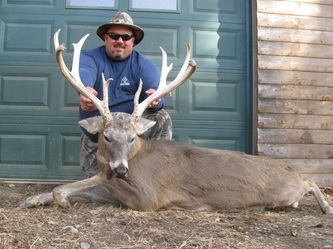 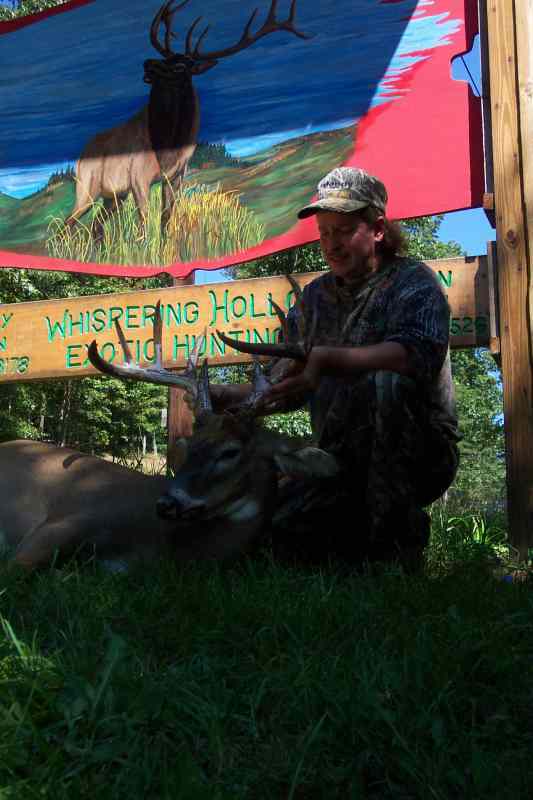 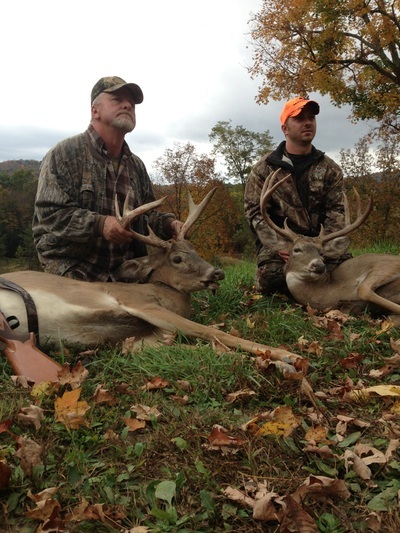 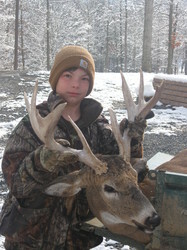 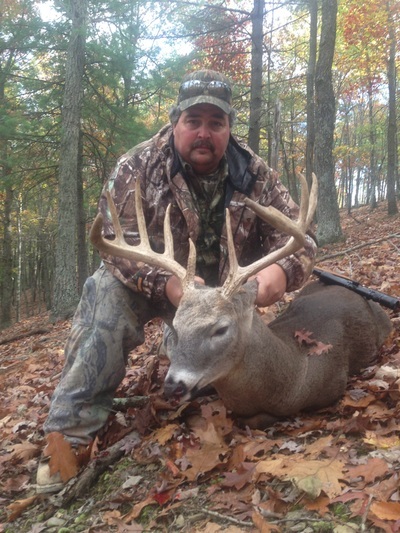 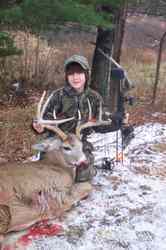 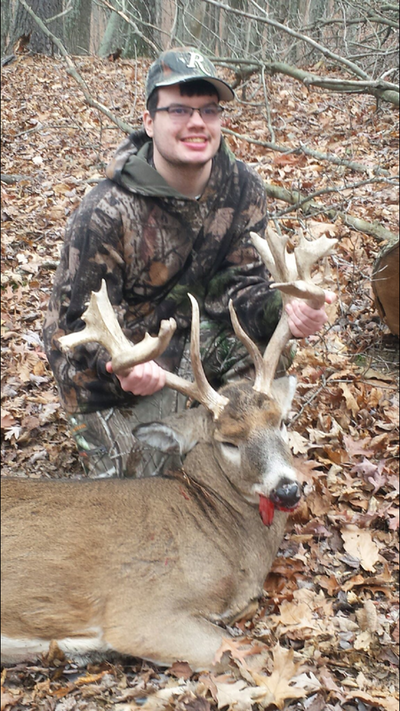 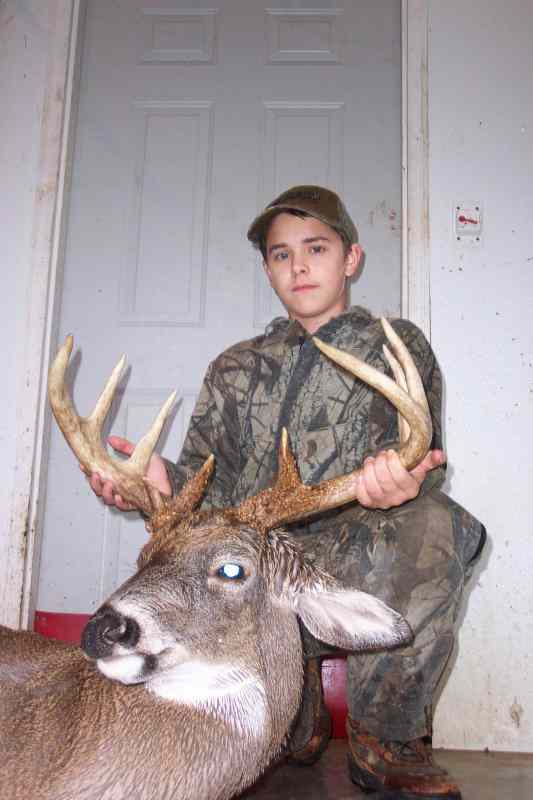 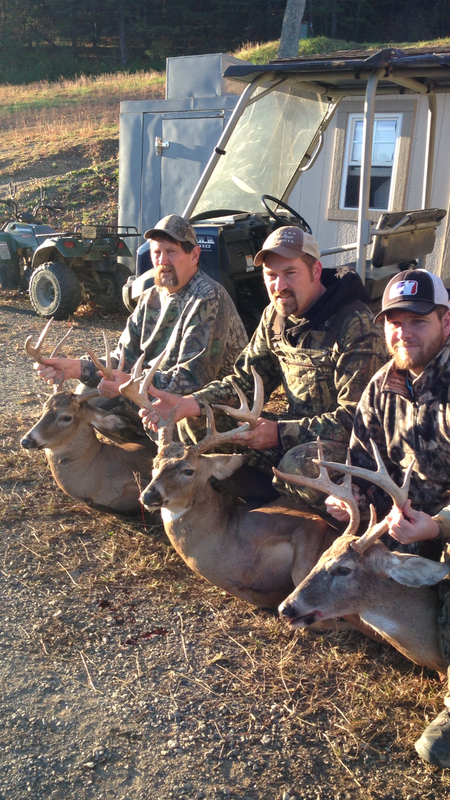 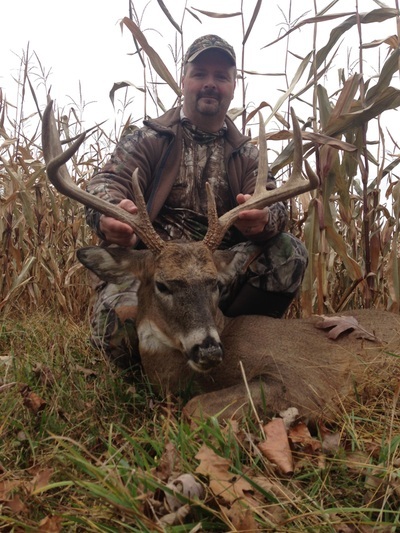 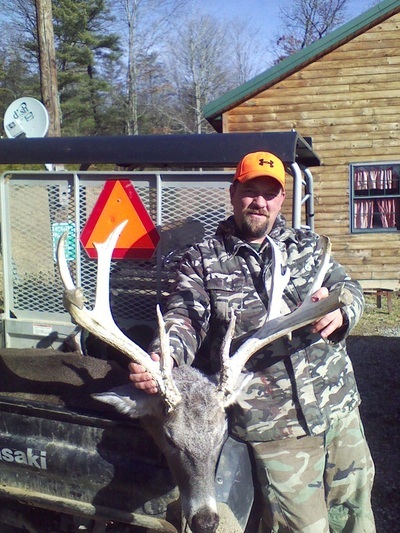 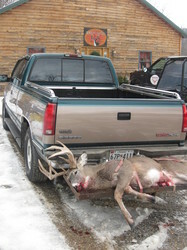 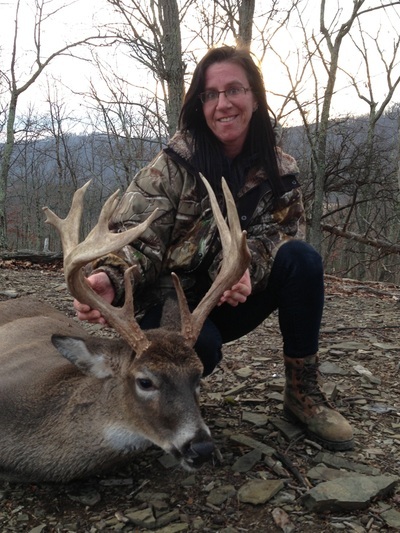 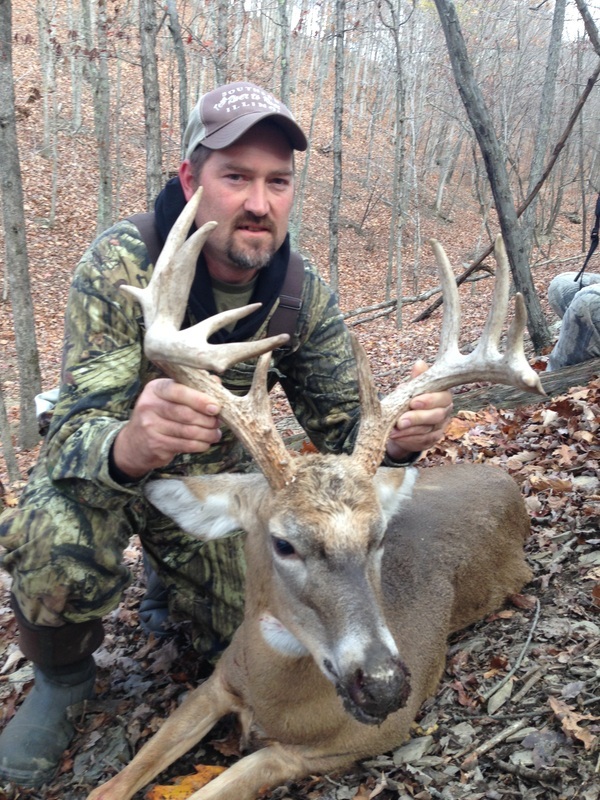 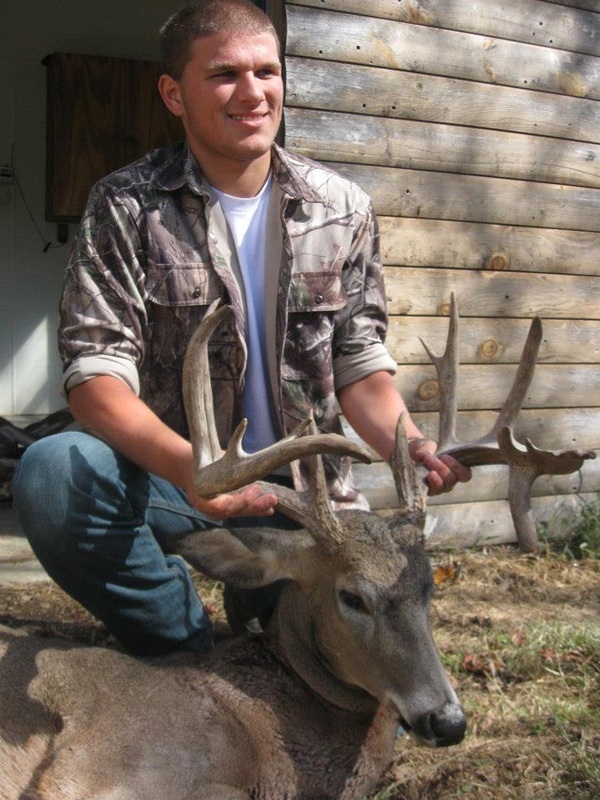 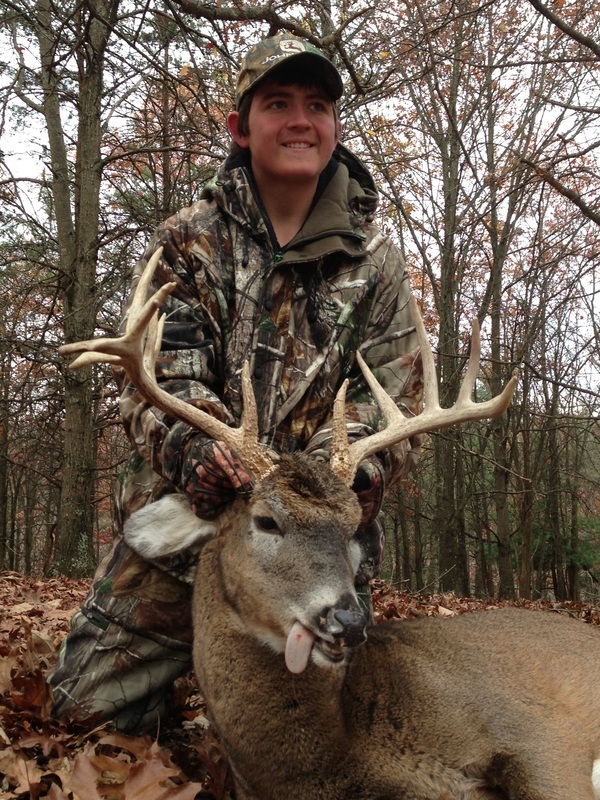 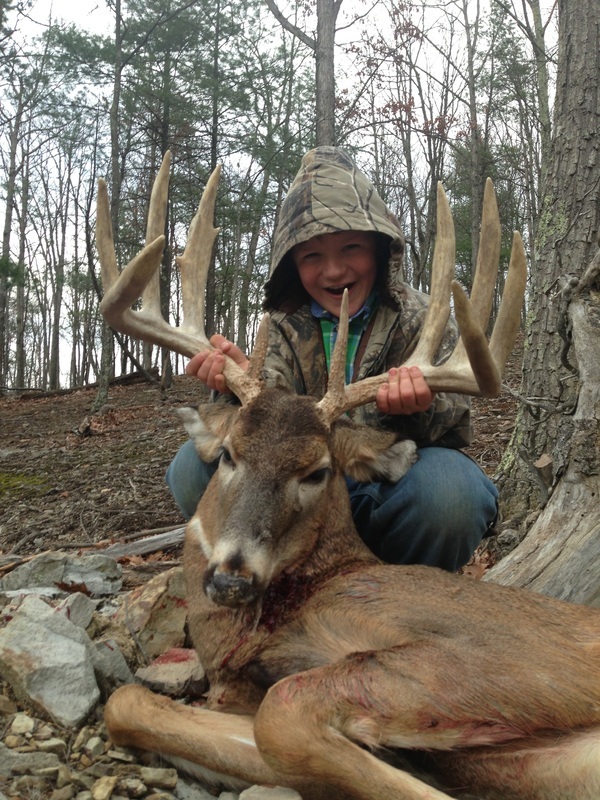 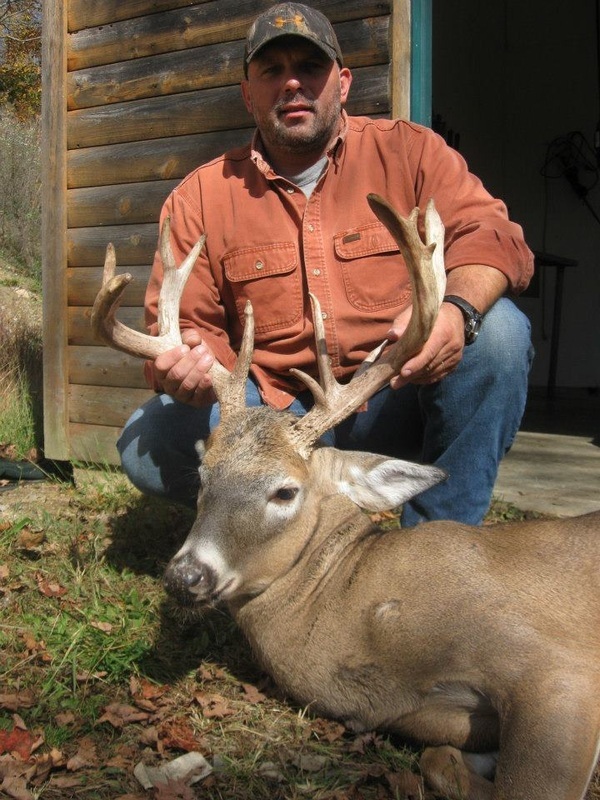 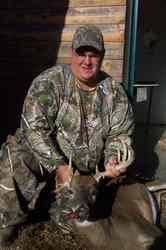 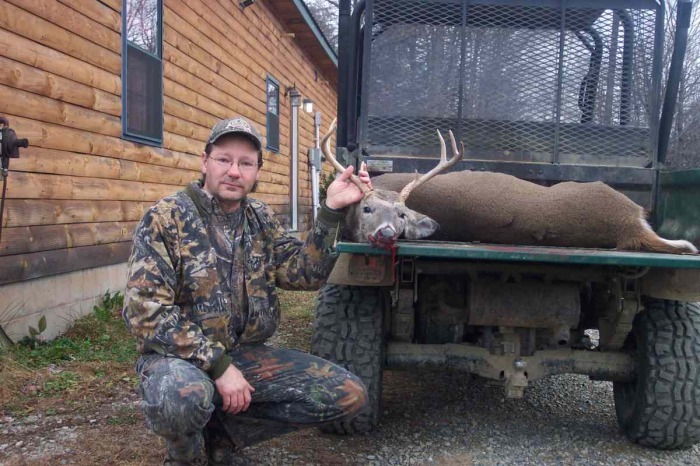 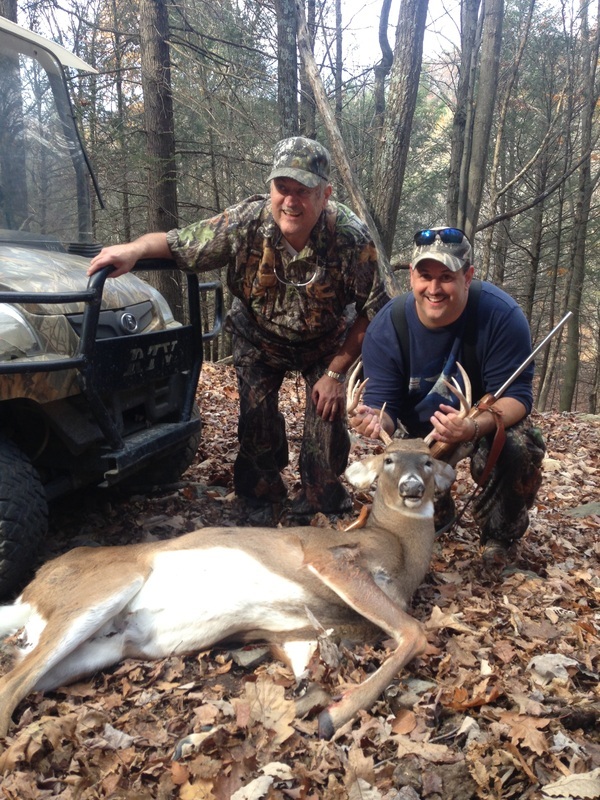 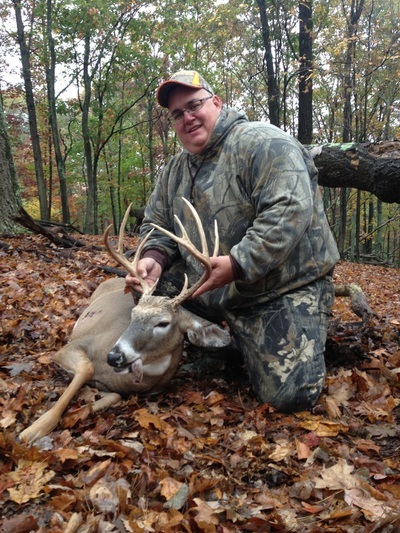 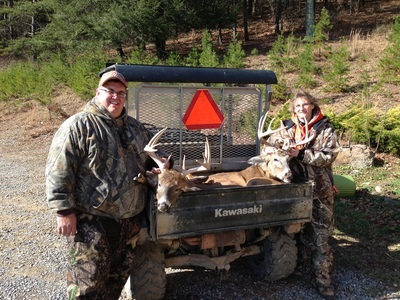 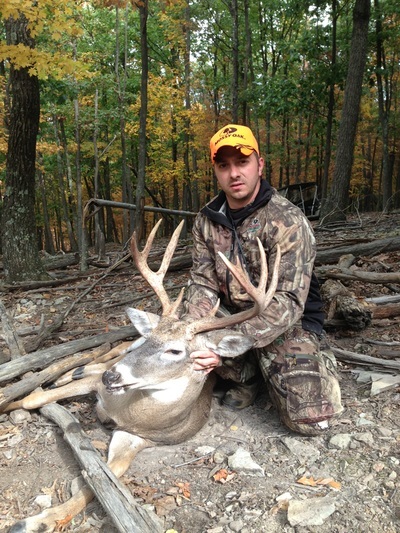 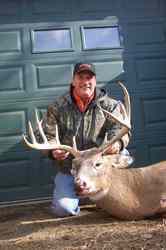 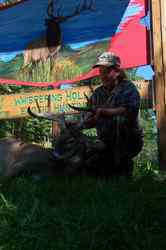 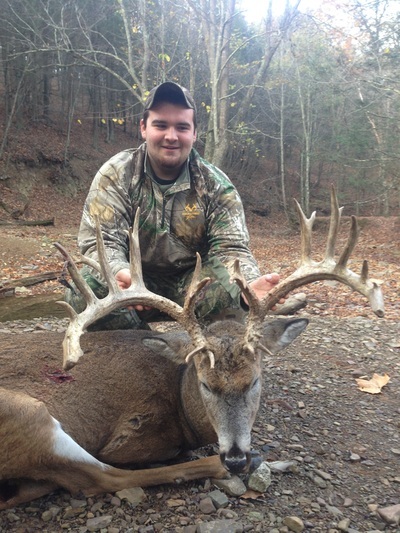 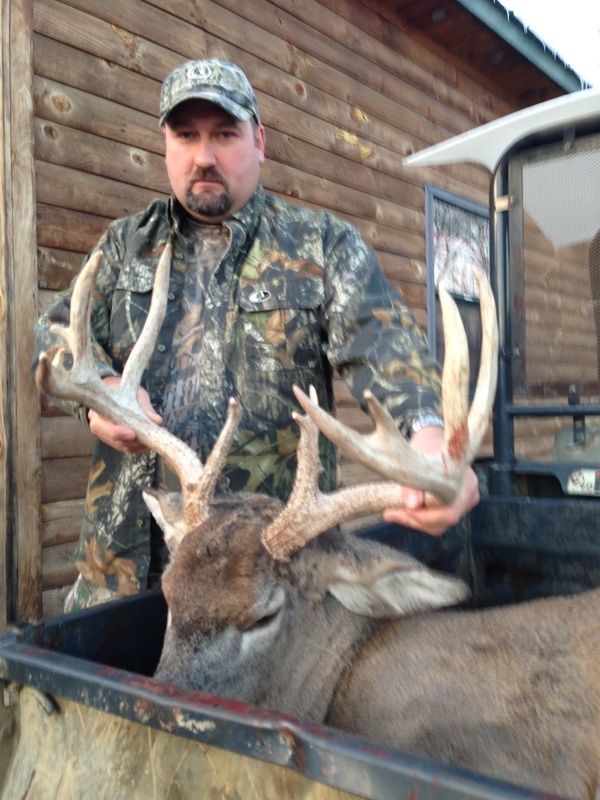 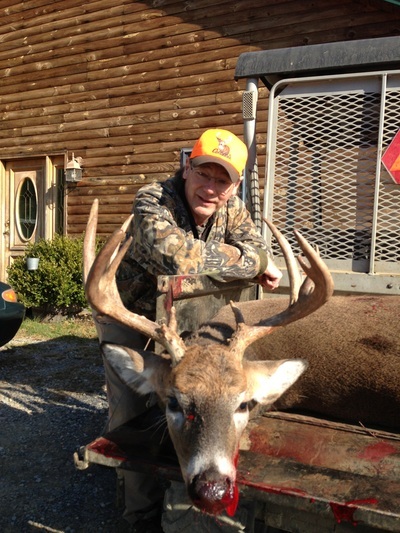 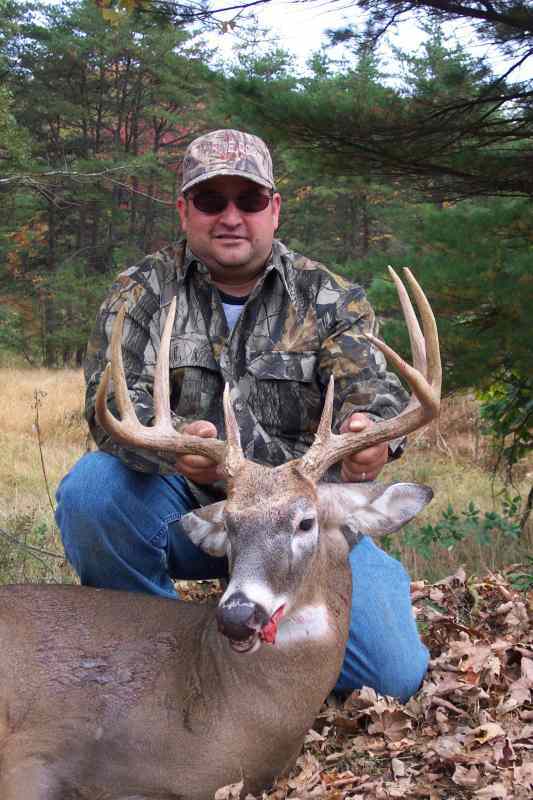 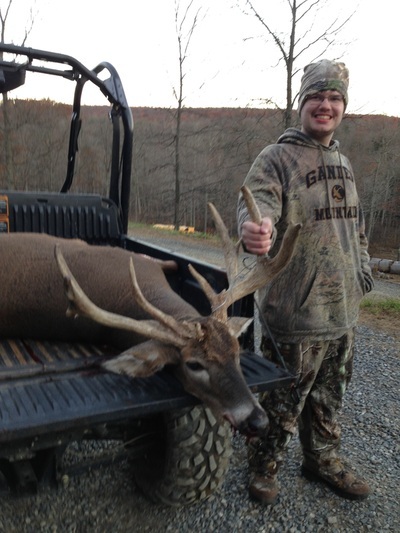 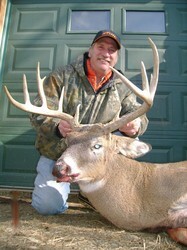 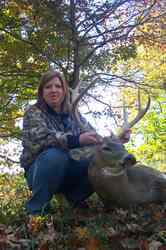 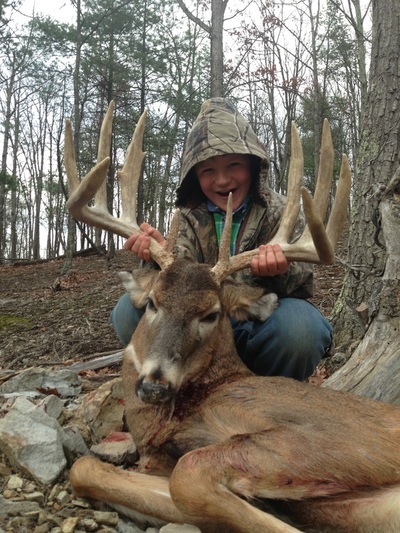 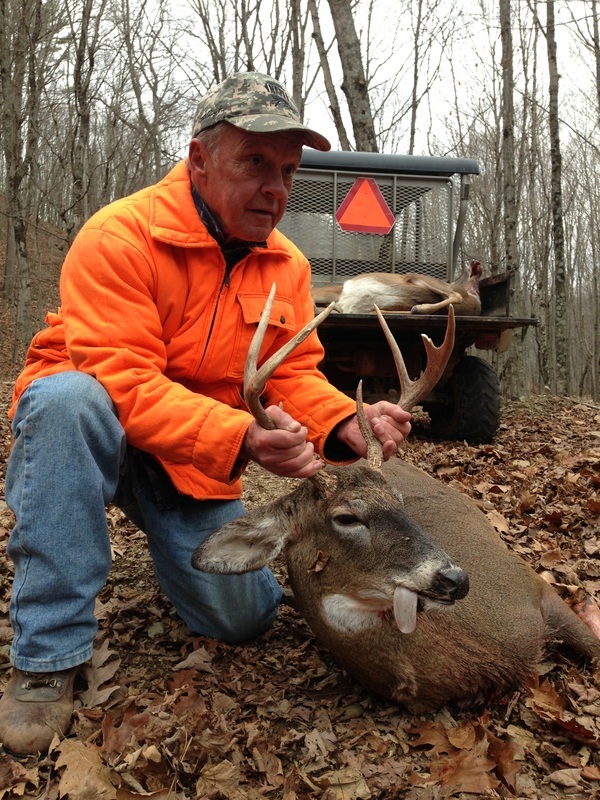 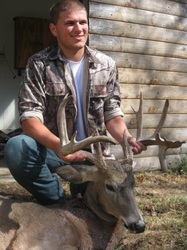 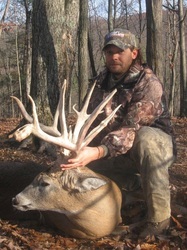 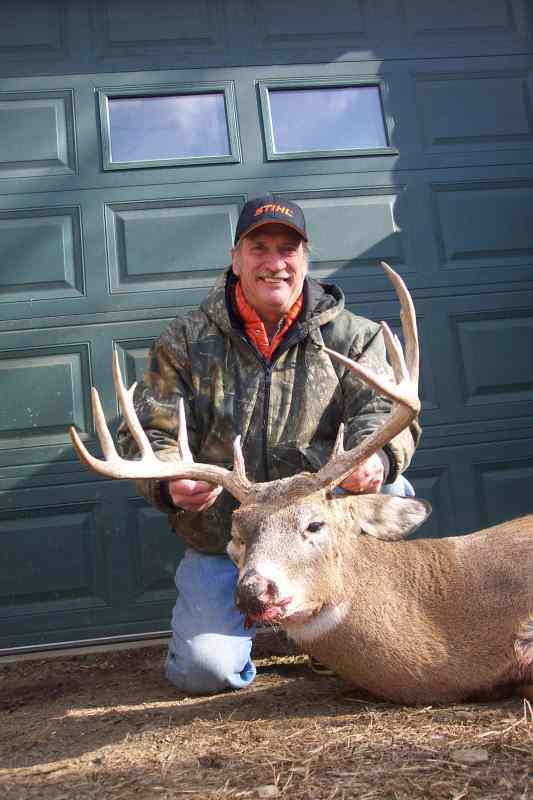 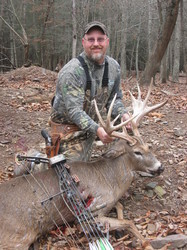 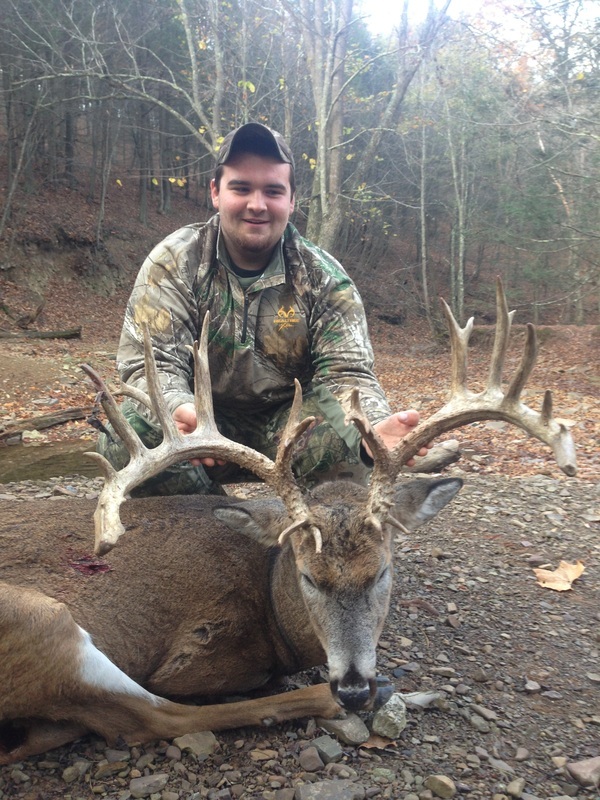 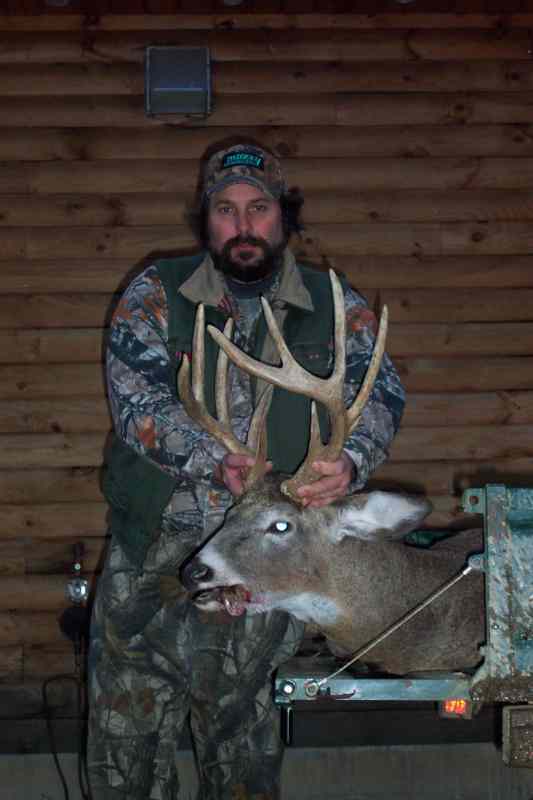 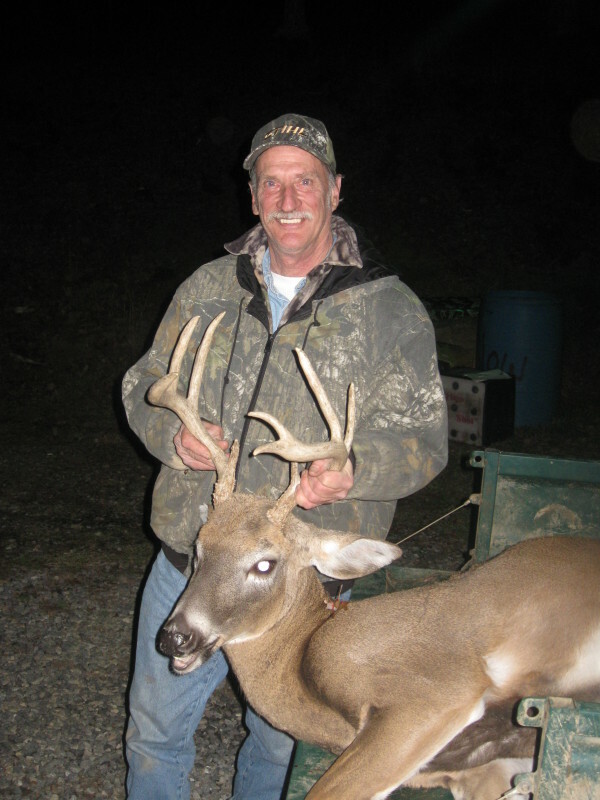 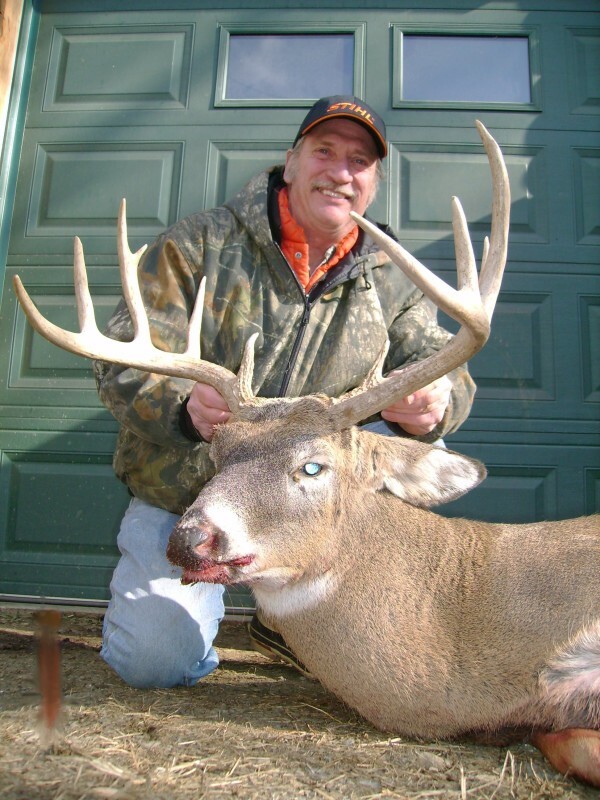 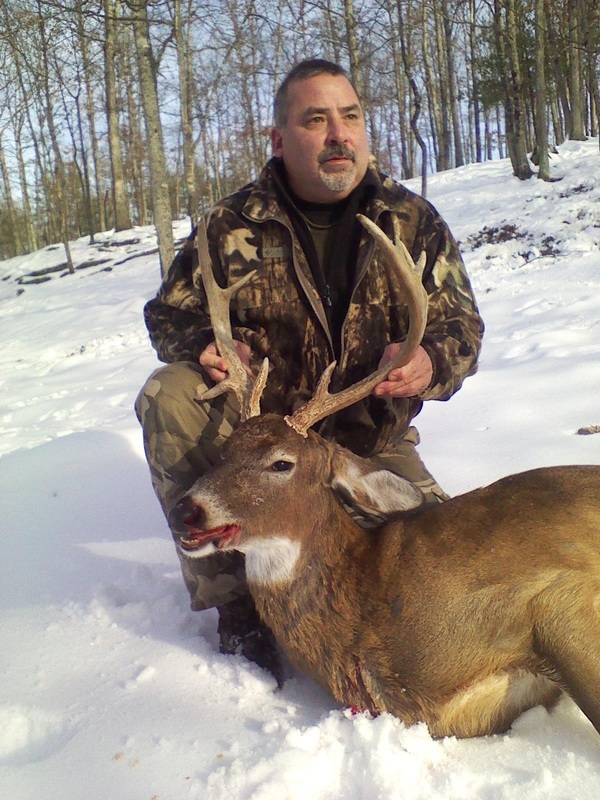 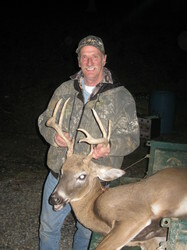 Check out some of the trophy whitetails our hunters have harvested this past season. 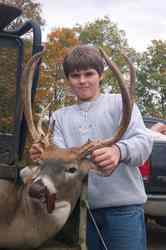 Click on any picture to enlarge the image.